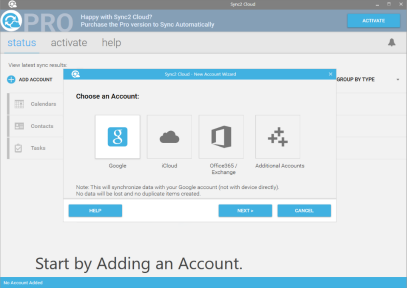 With Sync2 Cloud you can synchronize Exchange Calendar and Contacts with Google Calendar and Contacts. After synchronization you can view and edit your calendar events or contacts either in Exchange or Google. 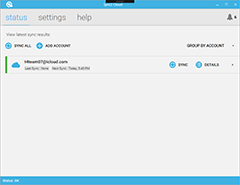 Sync2 Cloud lets you synchronize your Office 365 Calendar with Google Calendar, you just need to add Office 365 account to Outlook and then choose Google synchronization option in Sync2 Cloud. You can also sync Office 365 Contacts with Gmail Contacts. Add Exchange Calendar to Google, and you will be able to see and edit your Calendar events either using Exchange or Google account. Also, you can easily share your Calendar events with others. Repeat steps 3-6 to add Calendars or Contacts from other Exchange/Office 365 accounts, if you want to sync Google with multiple Exchange/Office 365 accounts. Note: You will have to add Exchange/Office 365 account to Microsoft Outlook. To learn more about how to add Exchange/Office 365 account to Outlook click here. In a few moments your Exchange/Office 365 Calendar and Contacts will be synchronized with Google Calendar and Contacts.